As I've passed the halfway point in this restaurant project, the pickings are getting slimmer. There are still some good restaurants left to review, but there are also ones I've been putting off. Yes, Starbucks is a restaurant, as they have food and seating. You can actually say, "Hey, let's have lunch at Starbucks." We did so one day when looking at houses (not in Bowie). But it barely meets the standards for a restaurant. This roundup of Bowie Starbucks omits the Safeway Starbucks, which lacks the sandwiches the other locations feature. It also skips the Starbucks/Pizza Hut in Target. That location may or may not have sandwiches, but will be covered in my forthcoming feature on the Pizza Huts of Bowie (oh boy -- see what I mean about slimmer pickings). I should note that I don't drink coffee. The point of these reviews is not about coffee anyway; it's about the meals, though. When my parents stayed with us, they went here often. For coffee, it's a pretty good Starbucks, they said. For meals, you have a choice of prepackaged sandwiches and snacks. On the plus side, the sandwiches are fairly healthy. On the other hand, why would you go here instead of the Subway a few doors down? 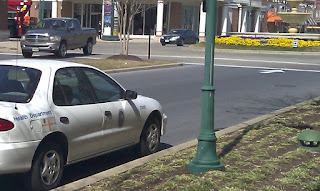 As with all of the shops in this part of Free State Mall, parking is inconvenient. Starbucks, 3924 Town Center Blvd. With about one-quarter of Bowie's restaurants in Bowie Town Center, I don't see why you end up here unless you are accessorizing your coffee with food. The pastries aren't bad, either. 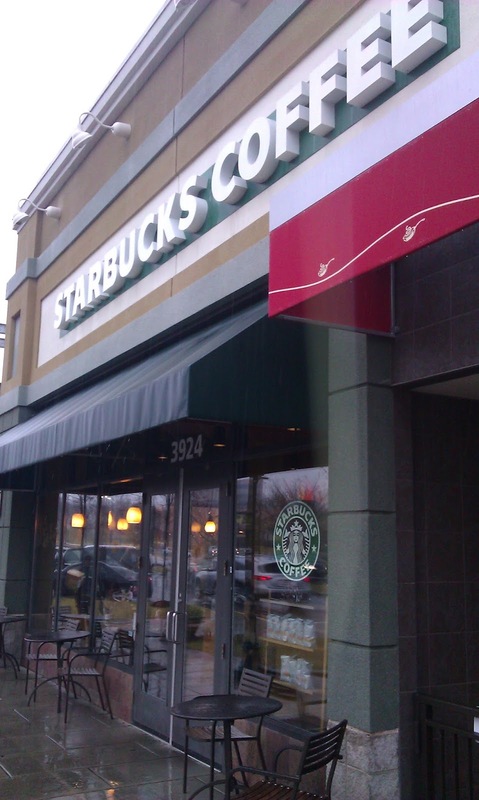 With both these places, I wanted to give them only a star, because the world doesn't need more Starbucks. But they're reliable places to get reasonably healthy and reasonably tasty food. I recommend eating elsewhere, but you're not doing yourself too much of a disservice if you end up here. I last updated the location of my geocoin Free State Mover #3 almost two years ago. It was last checked in to a cache in Utah on March 11, 2009. On April 4, 2009, somebody claimed that they had moved it to Newport News, Virginia, but did not actually log it in. On April 10, 2009, someone else said they were moving it to the Richmond area, but again did not log its movement. On July 6, 2009, someone confirmed it was in a Richmond-area cache, but still did not check it in. On September 12, 2009, someone named "toxikgumbo" said that he retrieved it and "Will move along soon". And then, nothing for two-and-a-half years...until last Saturday, when "toxikgumbo" logged "found it on ground while checking on a cache" and then put it in his cache. I'm guessing he dropped it in 2009, but I'm glad it appears to be back in action. 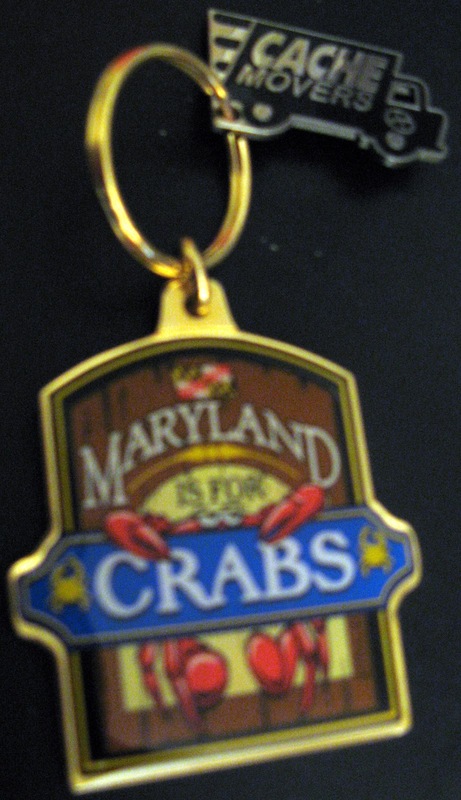 Maybe it will actually achieve its goal of returning back to Maryland, so I can retrieve it. Ironically, its goal is to return to Maryland inside the Beltway, where I don't live any more. I'm sure I'll find a way to get to it, though, if it makes it that close. I was going to append these notes to my review of Bowie's Starbucks, but I realized they were slightly more interesting than that actual review, so they're getting a post of their own. 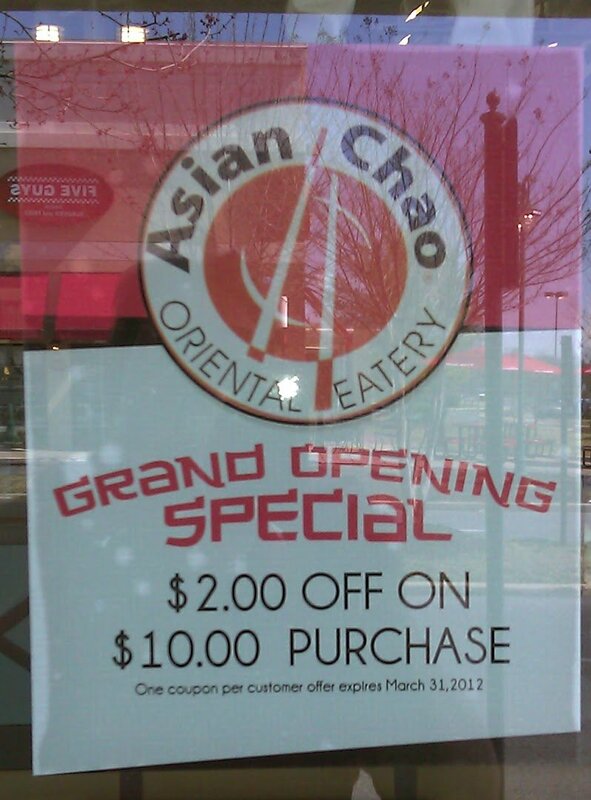 I stopped by to see if Asian Chao is open yet. It isn't, but the sign to the left was up. At the bottom it says, "offer expires March 31, 2012." 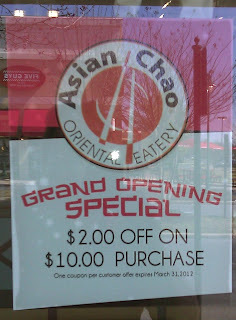 So either they're going to be open by the end of the month, or it's a really lame offer. 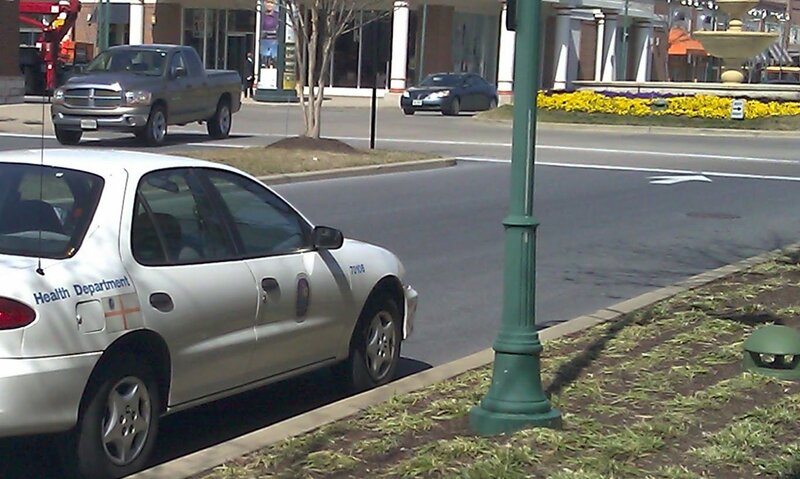 The other thing I noticed was this health department car parked out front. The first question it raised was whether it was a bad sign if a place you're going to eat at has the health department out front. Maybe not; it could just be a routine inspection. I was going to California Tortilla instead, so I didn't care too much. The second question it raised was, hey wait a second, is the health department allowed to park in the fire lane? I e-mailed them that question, and to their credit they got back fairly quickly. Apparently there are circumstances that allow the health department to park in the fire lane, but it didn't sound like this was one of them. They said they'd talk to the inspector in question and bring up the necessity of parking legally at the next day's meeting. Not exactly, "It's going on his permanent record," but it was a response. I'm sure nobody from the health department will ever park in the fire lane again. The Starbucks review will appear later this week. It turns out the Starbucks in Safeway doesn't serve sandwiches, so it doesn't meet my criteria, and the restaurant total has dropped to 79. In July, I asked on Patch.com for the place to get the best burger in Bowie. The first response, in September, suggested Main Street's Brasserie. That was not a good suggestion. 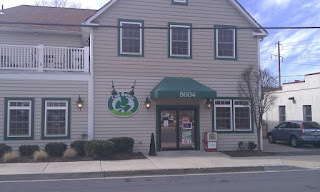 The second suggestion I got was in November, for the Old Bowie Town Grille. Ladies and gentlemen, we have a winner. 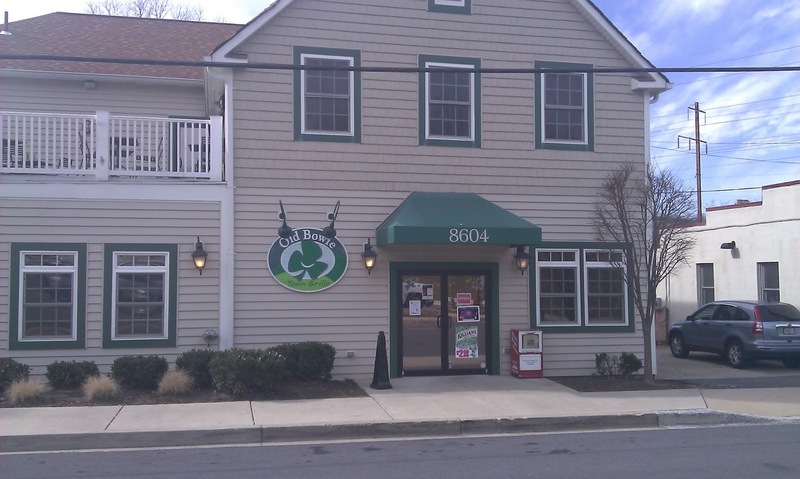 The Old Town Bowie Grille has an extensive menu. It even has a fairly big gluten-free menu. But unless you don't eat beef, I urge you to go there for the burgers. The service has always been good, but not spectacular. I gather they do a lot of their business in the evenings (there is always a list of upcoming live music), so going there for lunch has been a good way to find an uncrowded restaurant -- that was especially good when we took the kids there. So, to summarize, good burgers, nice enough interior (though a bit dark), gluten-free options if you need them, and a way to remind someone that Bowie isn't only strip malls. Four stars. I don't want to go any higher because I'm not recommending people drive from out of town to make it here. But it's definitely among the best places in Bowie.